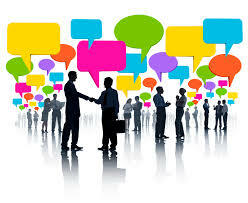 Generally, businesses have come to understand that social networking sites are great ways to build their brand. From creating brand awareness, as an online reputation management tool, to learning new technologies, and as a lead generation tool to intercept potential prospects. Now, how does Startup founders fall in with this growing social networking trends? It's no longer optional, but inevitable for entrepreneurs to connect for support from partners, investors, customers and even their employees. Below is a graphic presentation on 18 thriving networking sites especially for entrepreneurs to find advice, capital, or possibly co-founders - Infographic brought to you by Wrike - Free Project Collaboration Tools.